She's Fantastic: MOTUC The Great Rebellion's GLIMMER! MOTUC The Great Rebellion's GLIMMER! 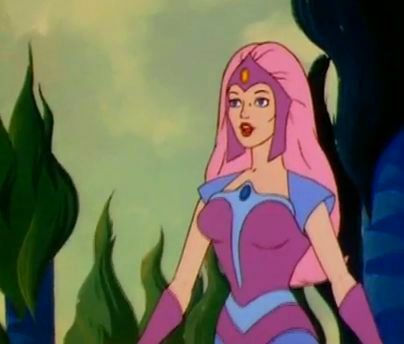 Mattycollector.com is about to make a lot of She-Ra fans very very happy. With their announcement of the Club Etheria mini-sub, the ranks of the Great Rebellion and Horde will expand exponentially. We've already seen Double Trouble, Entrapta, Madame Razz, Broom, Light Hope, and a teaser for Sweet Bee. Not to mention the Scorpia and Flutterina that are included in the main Club Eternia subscription. Glimmer is the first lady of the year and she does not disappoint. Glimmer is the Princess of the Royal House of Bright Moon, daughter of Queen Angella, and a warrior in the Great Rebellion. 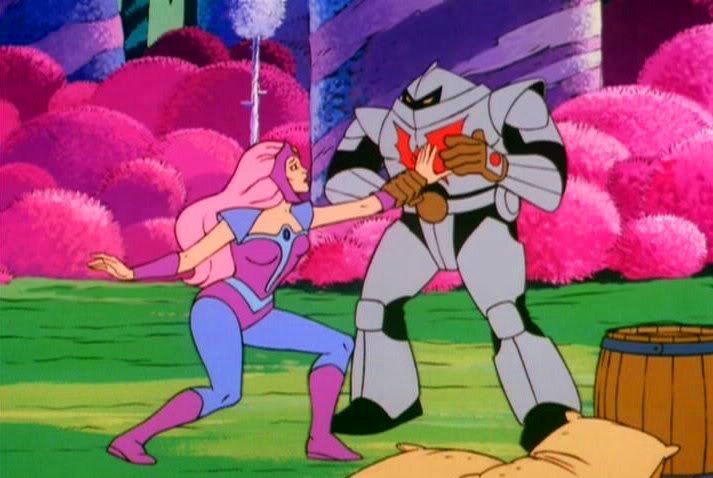 Aside from Adora and She-Ra, Glimmer is probably the most important member of the Rebellion. She appeared in 45 episodes. To put that in perspective, Castaspella appeared in 9; Frosta 8; Flutterina 5; Mermista, Netossa, and Peekablue 4 episodes. Mattel was pretty smart to hold out on her. She makes an excellent long-awaited anchor for POP fans. Let's check out Glimmer in detail below! There are a couple very interesting things about her bio. 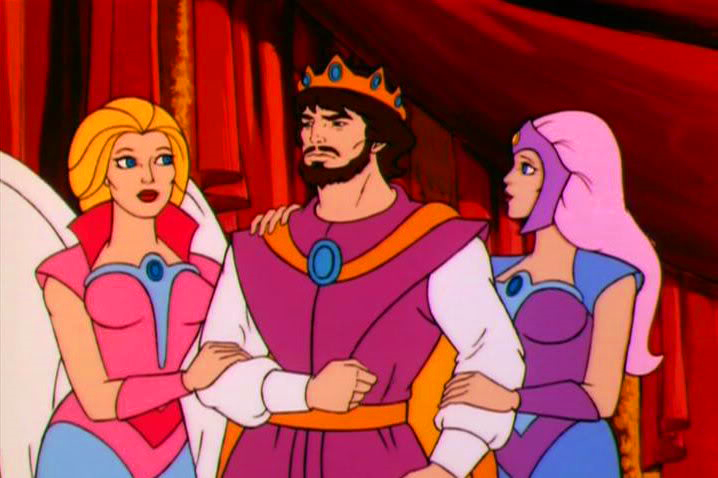 The main thing is that the story details She-Ra leaving Etheria "for the Stars" implying a New Adventures (Galactic Protectors) She-Ra. That would make an amazing variant figure. Especially if they made her look like her never-used live-action movie design. The second item on the bio is when it mentions her glow-in-the-dark staff and headdress. I got really excited, but alas, no glow. But I also tried a black light and her staff's gemstone fluoresces like crazy. Check out that gorgeous face. Glimmer comes with a Flower Staff and a Crystal Orb. It should be noted that she doesn't have boot cuts. Her legs do rotate at the hip though. Another exciting thing about having Glimmer is that it pretty much guarantees an Angella figure in the future. They wear almost identical outfits, except Angella has a collar. What stands are you using for the POP girls? Some of my older ones don't like to stand. Great Question! These POP girls can be tricky with their (sometimes) loose ankle joints. The clear disk stands I'm using are Protech Clear Stands for "Vintage Star Wars and Others" (http://www.theearthtoymall.com/protclearsta.html). I was frustrated a few years ago and ordered a huge assortment of stands. These worked best for female MOTUC figures (because their legs can be closer together). The best stands for the male MOTUC figures are actually the DCUC stands from Mattel. Also, if your POP figures have REALLY weak ankles, I would suggest getting some Kaiser Doll Stands from Amazon - the ones for the 3.5"-5" figures work well with minimal clutter. I prefer them in black. Here is a review i used one for: http://www.shesfantastic.com/2013/08/batman-beyonds-inque.html. They extend up to grab the waist or hair of POP-sized figures nicely. Good luck and thanks for the question! I just received Glimmer myself! She is a beautiful figure. Octavia has some really loose ankles out of my MOTUC women. Thought I'd try using the glue trick people mentioned. Very much looking forward to Scorpia! !